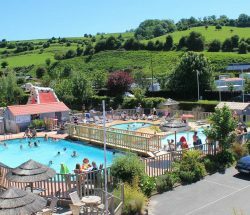 Just 1.2 km from the sea, you’ll appreciate Le Marqueval for its friendly warmth and enjoy an invigorating family holiday that promises relaxation, games and laughter for children and adults alike. 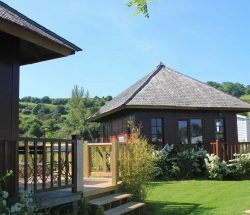 You can stay in a caravan, camper van or tent, or in one of our 70 mobile homes or rent something more unusual. 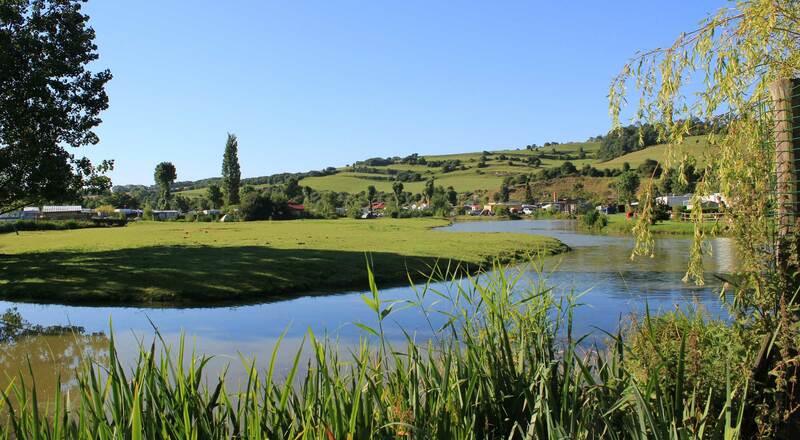 The site is peaceful and full of greenery, and there are three lakes that are great for fishing. 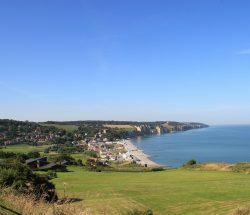 Our campsite is the ideal base for exploring the Côte d’Albâtre, hiking along the GR21 trail, or discovering the rich heritage of Seine-Maritime in the region of Normandy. The outdoor water park has 2 swimming pools and a 40 m² children’s pool with a toadstool fountain and water jets so that toddlers can have fun in the water in total safety. 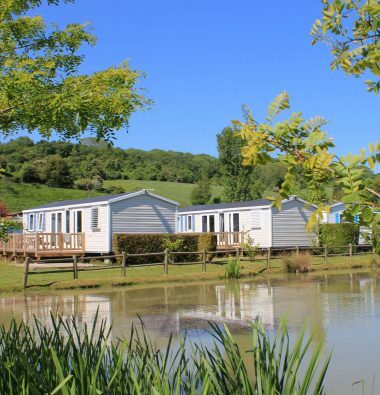 During the holiday season, the campsite organises karaoke parties, petanque competitions, card games and fishing sessions, as well as dinners with dancing. 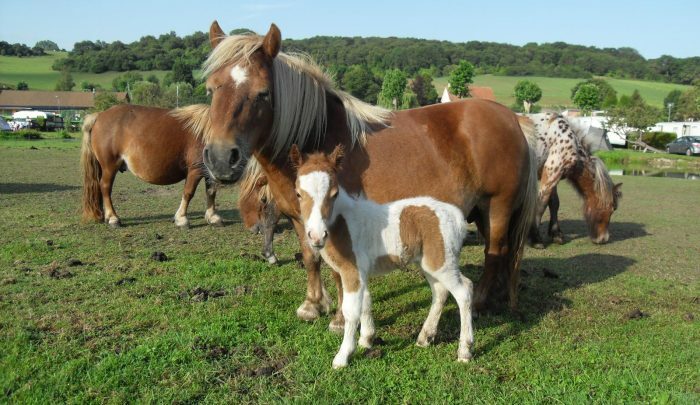 Pets are welcome at the campsite, but they must be kept on a lead and their vaccination record must be up-to-date. (dogs of categories 1 and 2 are not allowed). So that you can stay in touch with your loved ones, we propose un a WIFI service (pay service). Reception will be open throughout your stay daily from 8.45 am to 12 noon and from 2 pm to 7 pm (low season), or from 8 am to 7 pm (high season). 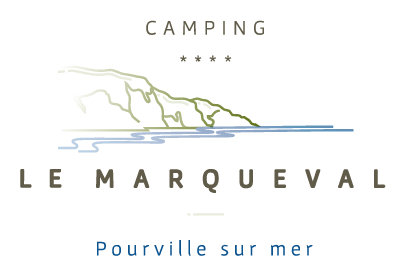 Follow all Le Marqueval campsite’s news on social media. 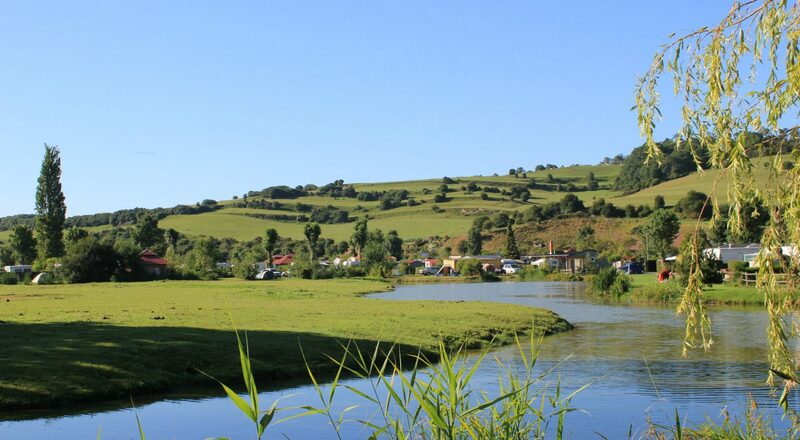 You’ll benefit from the calm of this natural spot and get to know the farm animals or go fishing at our campsite lake.